Mortgage offset accounts, are they worth it? Offset accounts are an established and attractive feature of many home loans today – but are they really worth having and will you actually benefit? The answer depends on your actual money habits and what happens once you buy the property and settle into your new budget. You might find it either works well or is a waste of time and money. If you want to pay off your home loan or mortgage sooner, or accumulate funds ready for investment separate to the home loan balance, a home loan with an offset facility could be a useful tool for achieving these goals. A mortgage offset account is simply a transaction account (or savings account) linked to your home loan account. It works just like a regular savings account. The big difference is the balance in the savings account is ‘offset’ against the amount owing on the home loan before your home loan interest is calculated. Hence you pay less interest over the course of the loan, provided you keep a healthy balance in the offset account. And of course, it’s a much better return on your money than the interest rate a bank would otherwise offer you on your savings. In addition, the saved interest is not taxable income at all in Australia (unlike regular interest in a savings account or term deposit). You can still use the funds in your offset account for any purpose, and there are generally no restrictions on deposits and withdrawals. Offset accounts enable you to make the most of your income and other funds to reduce the interest payable on your home loan, thereby reducing your loan term. You could even pay your salary or other income (like rental income) straight into the offset account at some banks. This would suggest anyone with a home loan should seriously consider putting their extra cash flow or ongoing savings into an offset account attached to their loan. What are the downsides or potential pitfalls? Every mortgage and every investment has a downside or a pitfall. Don’t fall for advice telling you there aren’t any with whatever you are being offered. Well the first warning is this: if you do not maintain a reasonable ongoing balance in the offset account, then the interest savings will be negligible or irrelevant. This will apply if you consistently spend as much, or more than you earn monthly. So dipping into the account regularly and keeping low balances in there, will not use the feature at all, and will make you wonder why you are paying annual fees (see below). An offset account is not the only way to reduce interest and pay off your loan sooner. In fact simply paying off more than your monthly minimum direct into the mortgage (and having a redraw facility if one day you need to take that extra payment back) will achieve the same result, in terms of saving interest monthly and reducing the loan term, rather than paying into an offset account. Offset accounts typically come within a home loan ‘package’ (whether you buy a home or an investment property in Australia). As soon as a bank makes available a second product or offers something ‘different’ like an offset feature, they will call your mortgage a ‘package’. Home loans wrapped within a package usually include a discounted home loan variable rate, an offset account, possibly a separate savings account and the offer of a credit card with nil or reduced annual fee (other benefits may include a discount on home and contents insurance and/or a free financial planning interview). Aside from a select few lenders, you will pay an annual fee charged to your mortgage or credit card of between $350 to $500 depending on which bank and product you choose, to be in a home loan package. Therefore it pays to understand the package costs, and which of the benefits, including offset, you will really use. The annual package fee could cause the overall cost of the loan to be greater than a different lender showing a higher headline interest rate. These days alternative ‘basic’ style mortgages (without offset accounts) often have discounted interest rates similar or lower than ‘package loan’ interest rates – without the extras like offset accounts and credit cards, but also without the fees. Ninety-nine percent of home loans sold by lenders coming with an offset account are linked to variable interest rate loans (not fixed loans). Lenders typically will not allow a fixed rate loan together with the offset feature, although over recent years a few lenders have emerged offering offset loans linked together with fixed rate loans as well. You need to speak with a mortgage broker to understand the various offers and which lenders suit your particular needs, and your own financial management when it comes to your monthly budget and mortgage payments. For all home loans, the terms and conditions vary, and fees and charges and lending criteria apply. This is general information only and has been prepared without considering your personal situation or needs. 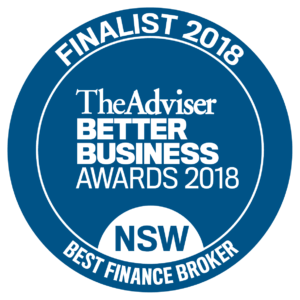 https://cleverfinance.com.au/wp-content/uploads/2018/05/new-logo-blue-final-300x188.png 0 0 cleverfinance https://cleverfinance.com.au/wp-content/uploads/2018/05/new-logo-blue-final-300x188.png cleverfinance2013-10-02 07:07:132013-10-02 07:07:13Mortgage offset accounts, are they worth it?